Many articles about the retail market start off by declaring its death sentence due to online shopping. However, this industry pulls in $22 trillion annually on a global level, so there are still plenty of opportunities available for savvy companies. However, your organization needs to rethink the way it’s using technology to take advantage of the current landscape. The piece of technology with the biggest influence on the retail world isn’t online shopping, it’s cell phones. While consumers could always go home and research products and companies on their computers, the smartphone brought that capability to in-the-moment decision making. Customers could access price comparisons and reviews in-store, look up nearby businesses while they’re driving around and find out whether there are better deals elsewhere. Retailers need to leverage mobile devices to differentiate their customer experience, as they’re often unable to compete against the prices offered by online-only stores with little to no overhead expenses. 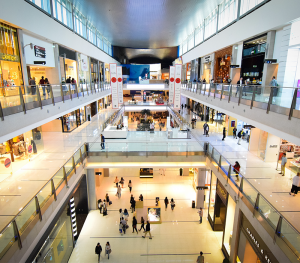 Customizing the retail experience is the key to building value in a way that only retail stores can. The future of retail relies on marketers and their ability to create personalized experiences in real-time. Retailers have many avenues for collecting data for this purpose. The store loyalty program is a convenient option for consolidating customer purchases into a centralized account. This system can integrate with your customer relationship management tools, marketing solutions or other platforms to flesh out their profiles. In-store beacons and geofenced marketing offer two ways to bring personalization into the retail environment. Customers can get coupons and offers that are related to their shopping patterns, as well as popular purchases from similar demographics. Geofenced marketing attracts nearby people searching for stores on their phones, and you can even choose your competitor’s locations as one of your fenced locations. More digital investment is necessary for retailers to offer something valuable enough to draw online-only shoppers away from the convenience of this experience. Some businesses don’t even have websites capable of being viewed on smartphones, let alone an integrated customer journey that adapts to their behavior. When you put together your retail marketing strategies, think about all the channels that your customers use. You want them to have a seamless experience when they move from mobile to in-store to online and back again. Digital-centric initiatives can include digital coupons, loyalty apps and online inventory checks. The buyer’s journey should include a lot of consistency as well, no matter what channel they interact with you on. Even the small details matter in this respect, so make sure that branding and product wording is the same throughout your offline and online properties. Some retailers are even leveraging their brick and mortar stores for the e-commerce side of their operations. Ship-to-store and ship-from-store are two popular ways to use your physical locations to your benefit. You can also take returns from online orders to make this process easier for shoppers who need to swap things out. Retailers can’t try to stay with traditional tactics to bring in shoppers. You need to fully embrace digital and bring everything together with an omnichannel strategy that meets consumer expectations. Otherwise, you may find yourself on the list of retailers who have found themselves struggling to keep up with the changes.